We're delighted to welcome the fantastic Enigma back to The Club. 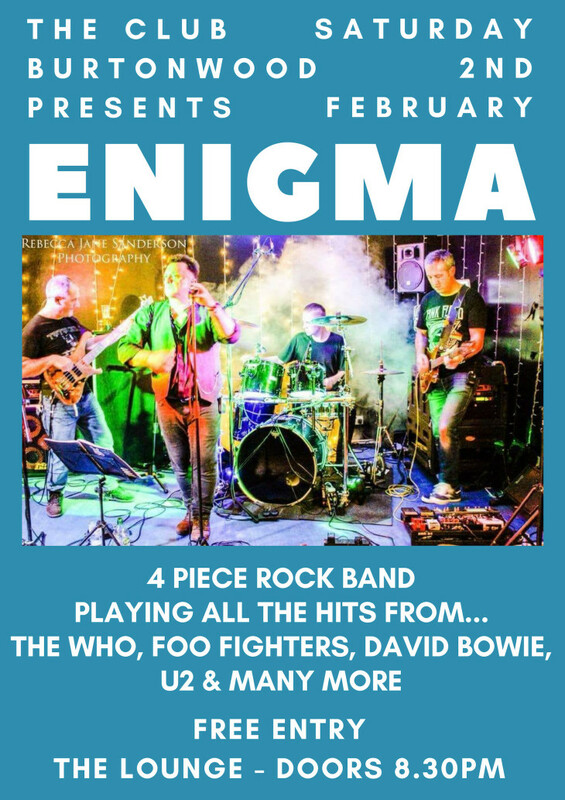 After their sensational performance at Burtonwoodstock Music & Family Festival we can't wait for them to rock The Club once again! Playing all the hits from The Who, Foo Fighters, U2, David Bowie and many more join us for more brilliant live music!